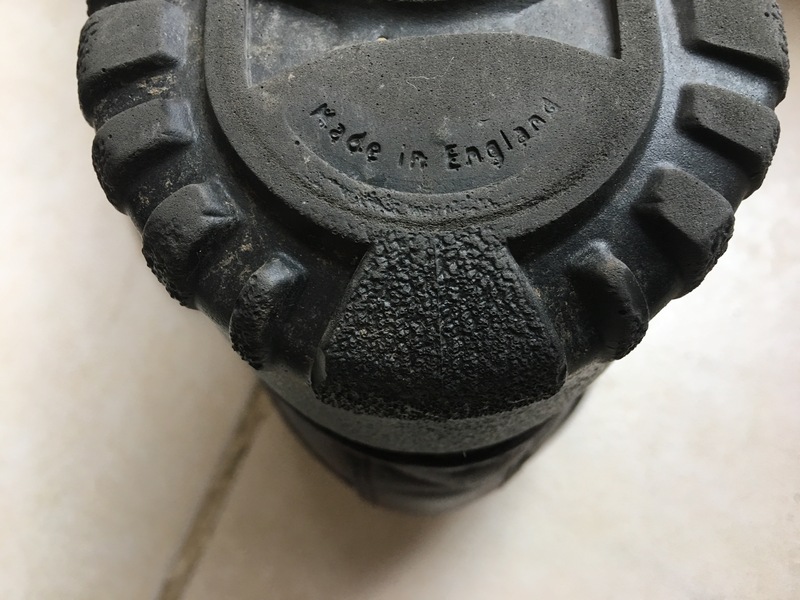 The words “Made in England” on the sole of a Hotter VICTOR MEN’S GORE-TEX BOOT. Photograph by author. 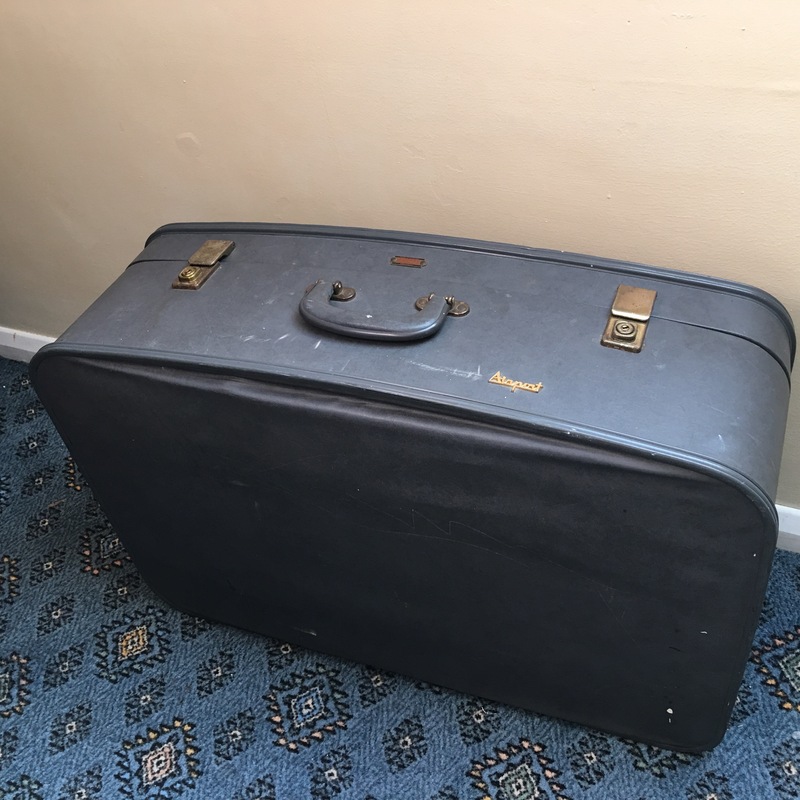 This entry was posted in Boots, Footwear, Hotter Shoes, Hunter Wellington Boots, Insoles, New Balance, Norman Walsh Footwear, Outdoor Gear, Safety Boots, Shoes, Slippers, Sports, Trainers, Walsh Trainers, Wellington Boots, William Lennon and Co. and tagged A L White, AlbertLoafer, Alt-Berg, Axminster Carpets, Baby Pure, Bison Bushcraft, Björn Clogs, Björn Clogs of Scarborough, Blenkinsop Leathers, Boot and Saw, Boots, Bowling Shoes, British Boot Company, British Footwear Brands, British made boots, British made safety boots, British made shoe lasts, British made shoes, British made slippers, British made trainers, British made wellies, British made wellington boots, Brodequin, Brooks Brothers, Celtic Sheepskin, Chancery Footwear Ltd., Charles Tyrwhitt, Chatham, Clarks, Conker Shoes, Crockett & Jones, Crockett and Jones, Crown Northampton, Danecrafts, DB Shoes, Derek Rose, Dr Martens, Dub’l-Lif, Ducker and Son, Eastern Counties Leather, English Shoe Brands, Equitector, Fairy Steps, Footwear, Freed of London, French & English Confectioner's, Gandolfi, George Cox Footwear, Gg Bebe, Gilbert and Bailey, Glencroft, Gola, Green Shoes, Grinders, Guat Shoes, Horace Batten, Hospital clogs, Hotter Shoes, Hunter Boots, Hunter Wellies, Hunter Wellington Boots, Insoles, James Taylor & Son, Jeffery-West, jellies, jelly shoes, Johnson Shoes, Joseph Cheaney & Sons, Joseph Azagury, Katz Dancewear, Lewis Leather, Lissom and Muster, Loake, London Sunday UpMarket, Made in Britain, Made in the UK, Margaret Howell, Mollie Bailey, Moorcraft Sheepskin, Mudlark & Co, New Balance, Norman Walsh Footwear, Northampton Shoes, Northampton Sneaker Co, NPS, NPS-Solovair, Nursey Sheepskin, Peal & Co., Pixieland, Pumps, Reynolds, Reynolds cycling shoes, Richard Sexton & Co., Ringside Boots, Robinson's Shoes, Rosebank Slippers, rubber boots, Rudels slippers, Ruff-lander, Safety Boots, Shackleton, Sheep Sheep, SheepSheep.co.uk, Sheepskin slippers, Shoemakers, Shoes, Shoes and boots made in the UK, Skyscrapers, Slippers, Sloppas, Sneakers, Solovair, Spring Line, Start-Rite, Swift and Co, T and F Slack Shoemakers, The British Flat Shoe Co., The Burford Garden Company, Thomas Ware, trainers, Tredair, Trickett, Triggerfish, UK Boots, UK made boots, UK made shoes, UK made trainers, UK Shoes, UK Trainers, Van Dal, Vegan shoes, Walsh Casual, Walsh Footwear, Walsh Sports Shoes, Walsh Trainers, waterproof boots, wellies, wellington boots, Wellywarmas, Wildsmith, William Lamb, William Lennon and Co Ltd, William Norman, Work clogs, www.veganline.com on November 12, 2012 by ukmade.